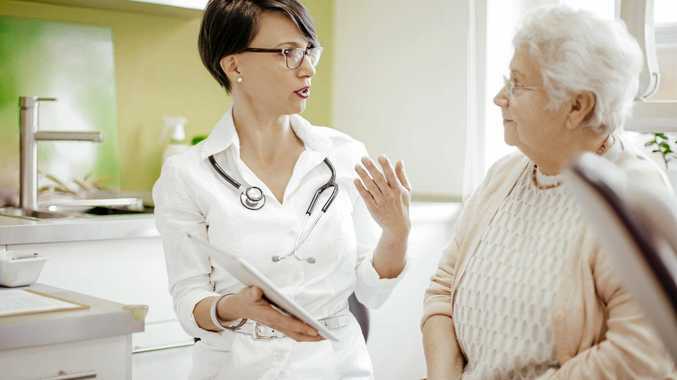 THE continued decline in cervical screening participation has health experts concerned Queensland women are missing out on potentially life-saving screening. Queensland's Chief Health Officer Dr Jeannette Young said the latest data showed 53.6 per cent of eligible women in Queensland undertook a cervical screen in 2015-16, down from 57.1 percent in 2005-06. "The downward trend in cervical screening participation is alarming," she said. "It's free and saves lives, yet around half the population of Queensland eligible women are skipping their cervical screening." The rate of deaths from cervical cancer has halved since the National Cervical Screening Program started in 1991. The program has started using a new Cervical Screening Test which screens for human papillomavirus (HPV). "HPV is the main cause of abnormal cells in the cervix, so the new test after their last pap test, and if the results are normal, get a test every five years after that," Dr Young said. Women aged 25 to 74 should book a Cervical Screening Test two years after their last pap test, and if the results are normal, get a test every five years after that. "I urge Queensland women to get up to date with their cervical screening -it's quick, free, and it may just save your life," she said. Dr Young said almost all cases of cervical cancer are caused by HPV. "It's important for both women and men to ensure they've received the recommended vaccinations for HPV," she said. "Experts believe the vaccine, coupled with the new Cervical Screening Test, could see cervical cancer eliminated in Australia in less than 20 years." Two HPV vaccines are provided to teens in Year 7 through the School Immunisation Program -six months apart and free of charge. Anyone who missed out, a free catch up program is available through GPs and immunisation clinics up to age 19. People who are aged 20 and older and haven't been vaccinated should speak with their GP.